Currently there is a lot of hype going on about Google’s new search algorithm known as Hummingbird. Google has quietly retooled the closely guarded formula running its Internet search engine to give better answers to the increasingly complex questions posed by Web surfers these days. This has introduced a new twist in the field of search engine optimization. First of all let us look into the term search algorithm. This is basically a technical term used for what you could say as a recipe that Google uses to sort through the billions of web pages and the information on it to return the most suitable and accurate answers. This is what according to which websites are planned so that they are ranked well. So why did Google name it hummingbird? According to them the name originates from being ‘precise’ and ‘fast’. Although Google started using Hummingbird a month ago, it only announced the changes yesterday (27th September, 2013). The changes would have a major impact on traffic to websites. 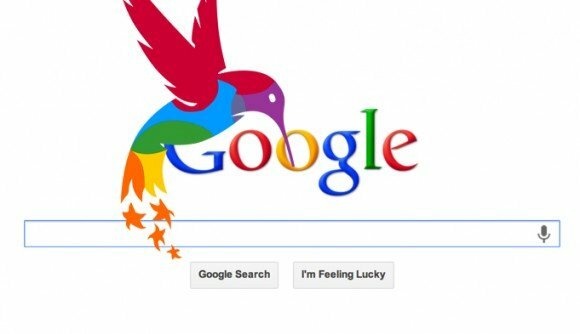 Hummingbird represents the most dramatic alteration to Google's search engine since it revised the way it indexes websites three years ago as part of a redesign called "Caffeine," according to Amit Singhal, a senior vice president for the company. He estimates that the redesign will affect the analysis of about 90 percent of the search requests that Google gets. With this update, Google has re-emphasized the concept of “Content is king”. Now Google will consider only that content that will be right according to its hummingbird algorithm. Now there is no space and chance for the irrelevant, redundant or duplicate content. Only the content that will be information rich, original, and relevant to customer query will work. It’s been more than two years that Google has already shifted the content from dumb keywords to the more exact to match the user intent. The term “intent” also takes personalized info (location, device and other factors) into account. Now it will also consider timeliness and conversational search to address the more complex customer queries. With this update, only those websites will be ranked and increase chances of their ranking who would offer the most relevant content for any search query and would be able to respond to more complex queries even the ones that are put forward in conversational style. In addition to rich content, a well-designed website is equally important so that Google spiders can easily find the content. Not sure about future, don’t know what the next Google update will be about, with this update we can safely say that content is again the king. It is again the most important factor in search engine optimization. For more information about hummingbird update, keeping visiting www.getranked.com.my. We will cover all the aspects of this latest update in our coming posts.